technologies into their claims processes to reduce costs through efficiency (by identifying opportunities for automation in the claims cycle), deliver world-class customer service and graduate towards the future of claims – claims reduction and risk prevention. Over 700 senior claims, innovation and technology executives will hear from expert speakers on how to reduce costs through efficient processing of claims, incorporate dynamic customer communication to enhance the customer experience, develop strategies to implement new initiatives and more. For more information. 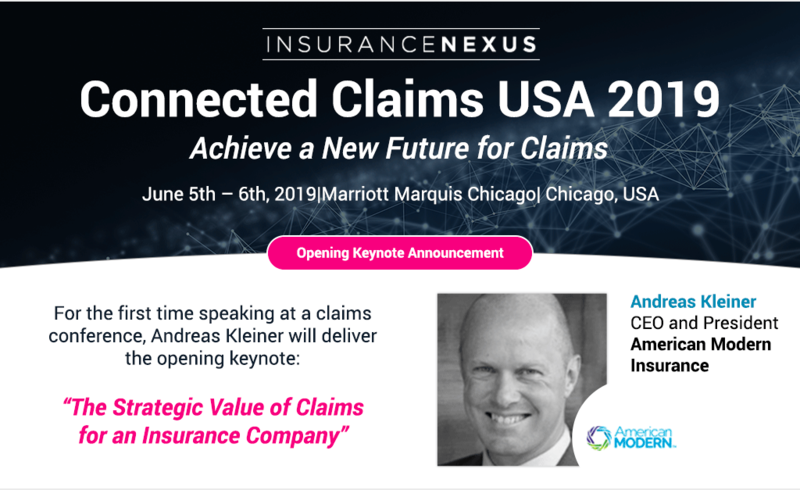 Please visit the Connected Claims USA website at https://events.insurancenexus.com/connectedclaimsusa/?utm_source=iib+council&utm_medium=ceo+pr&utm_campaign=5007.